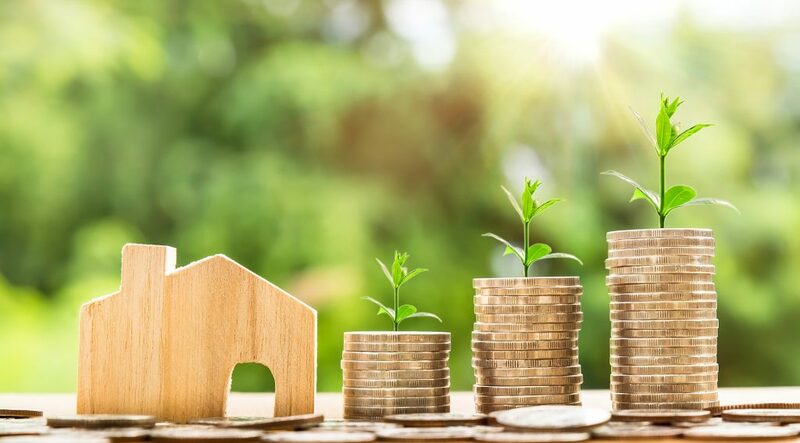 A Home Equity Conversion Mortgage (HECM) and a Home Equity Line of Credit (HELOC) are both loans that allow borrowers to access their home equity as usable funds. Commonly known as a reverse mortgage, a HECM is a Federal Housing Administration (FHA)1 insured loan available to homeowners 62 and older. It enables borrowers to access a portion of their home equity without having to make monthly mortgage payments.2 Proceeds from the loan can be received as a lump sum,3 monthly payments, or as a line of credit. The borrower must continue to pay their property taxes and homeowners insurance. A HELOC is a loan against the home equity that acts like a credit card: it has a credit limit that one can borrow against. The borrower must pay all or part of the balance in order to borrow again up to the credit limit. The draw period usually lasts 5 to 10 years, during which time the borrower is only required to pay interest on money withdrawn. At the end of the draw period, the repayment period begins and is usually about 10 to 20 years. During the repayment period, the borrower must pay both principal and interest to pay off the entire loan balance, either through installments or a single payment. Let’s take a look at a simple comparison of the HECM vs. HELOC. loan obligations2 Repayment of the lineof credit principal and interest is required within 10-20 years. Monthly payments are drastically higher once entered into the repayment period. Both products have pros and cons, so choosing the product that’s right for you depends on your financial goals. If you’re a senior homeowner looking to use a line of credit from your home’s equity, consider a reverse mortgage. Try our reverse mortgage calculator above or call 1 (800) 976-6211 to speak with a licensed loan advisor. 2Your current mortgage(s) and any other existing liens against the property must be paid off at or before closing. You must live in the home as your primary residence, continue to pay required property taxes, homeowners insurance, and maintain the home according to FHA requirements. Failure to meet these requirements can trigger a loan default that may result in foreclosure. 4The “line of credit growth feature” -once you secure a traditional Home Equity Line of Credit, the total amount you can borrow is set at the time you sign the loan. But with a Reverse Mortgage Line of Credit, the unused portion of your credit line grows over time, independent of your home’s value. That means that the less you take upfront, the more you’ll be able to borrow later. As long as you meet your loan obligations, your Reverse Mortgage Line of Credit cannot be reduced.